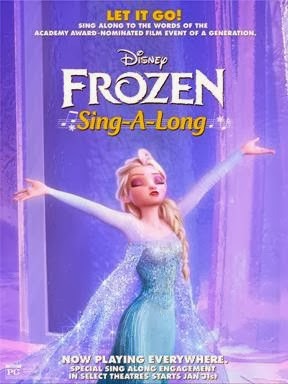 I am so geeked out for the Frozen Sing-A-Long! Are you going to go? I think we will! Emma has been begging to see Frozen again so I think we just have to go and just SING-A-LONG! You can buy tickets here and here. Wow, we haven't seen the movie yet, can't wait for it!